Architect is uncertain, but usually attributed to McCutcheon. According to Brett in his Buildings of Belfast, the Commercial Buildings ‘looks as though it ought to be attributed to a more sophisticated designer’. 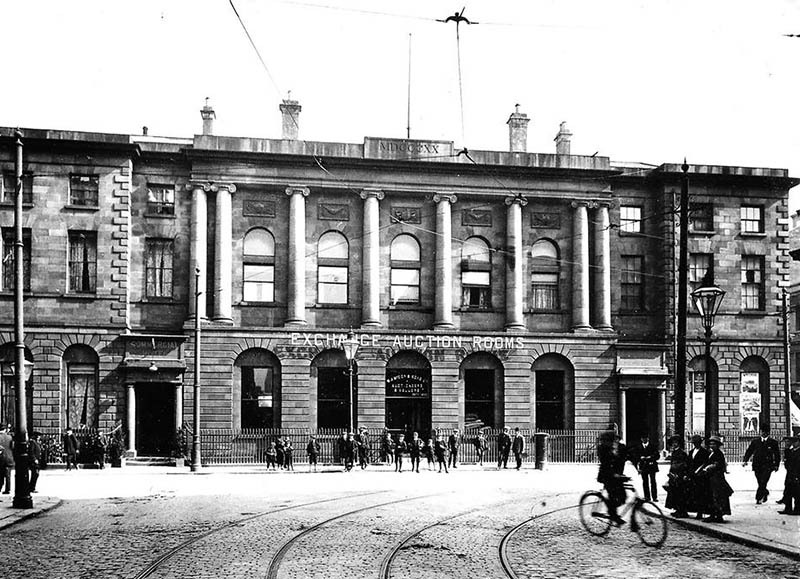 Built by public subscription of 200 shares at £100 each, the Commercial Buildings provided “an excellent commercial hotel, a spacious and handsome news-room and…a piazza for the use of…merchants”. 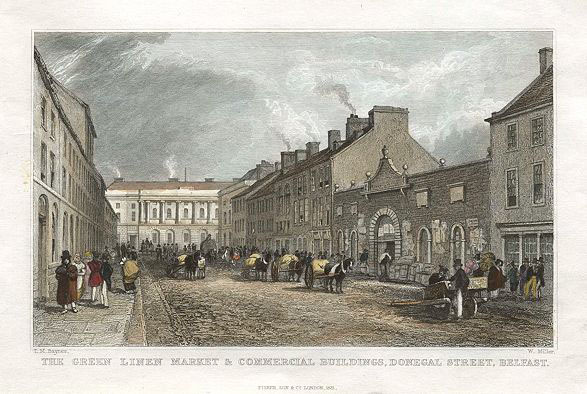 The foundation stone was laid on St Patrick’s Day 1819 by the Marquis of Donegall and it was first occupied in November 1820. The building, with its robust classical front elevation of grey Dublin granite, was the only premises in Bridge street to survive the 1941 Blitz.